Alabama Legislators Named to Honorary Girl Scout Troop! In Alabama, several Shelby County legislators recently earned honorary spots on a Girl Scout troop created to celebrate the organization’s centennial anniversary. 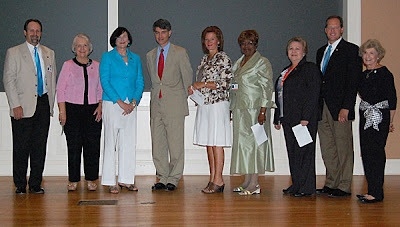 According to the Shelby County Reporter, State Senator Cam Ward, R-Alabaster, and Representatives Mary Sue McClurkin, R-Indian Springs, Kurt Wallace, R-Maplesville, and April Weaver, R-Brierfield, joined several other state legislators as they were named to Girl Scout honorary Troop 1912 on June 2. The troop was named in honor of girl scouting’s upcoming 100-year anniversary. The members of the troop were named to the organization to serve as “the voice for girls in the legislature. Are there lawmakers in your community involved in Girl Scouting?